A motorcycle is an opportunity to get out on the open road, feel a sense of freedom and get involved with likeminded souls who understand the thrill of getting on that bike and just riding to wherever the road takes you. But when you can’t ride the bike yourself, then you’ll need to find a reliable transport company who will take the same care with your motorcycle as you yourself would. Be it an interstate trip or just a local ride through the beautiful Great Ocean Road, you can get in touch with experienced and ABN verified motorbike transport companies operating in your pickup and delivery locations throughout Australia. You can get transport quotes for moving everything from dirt bikes, road bikes to adventure bikes. Get quotes today! Get 3 Quotes for transporting motorcycles. It’s free to request quotes. Standard Road Bike: Got a road bike or naked bike and need that relocated anywhere across and throughout Australia? There are road bike transporters who operate through all major metropolitan areas within Adelaide, Perth or Brisbane and travelling interstate and intrastate to WA, NT and QLD. You can also find carriers throughout Tasmania. Quad Bikes: As you can’t drive them on the roads, quad bikes will require transport due to a new purchase or just to take them up bush for a real workout. Whether you have a quad bike that’s used for fun, sport or adventure you can find a reliable quad bike transporter to relocate the quad bike to its new home or to your latest adventure. Off-Road Bikes: As dirt bikes or off-road bikes can’t be driven on the roads, there is a regular need to relocate dirt bikes to races, meets, shows or just to test them out through some rugged terrain. If you have one or two then a carrier with a specialised motorbike trailer fitted with tracks or a standard trailer with the dirt bikes secured can be used and they can provide you with transport quotes. Touring Bike: Touring bikes are built for comfort on those long rides but due to circumstances such as home relocations or fly rides, there comes a time when you need that touring bike relocated and you just can’t transport it yourself. You can find drivers and truckies able to deliver your touring bike to wherever your destination may be. Adventure Motorbikes: You can provide the make and model of your adventure bike to ensure the transport quotes and costs provided by the carrier quoting on your motorbike freight are accurate the first time they contact you with the rates. Whether it’s interstate, through regional or metropolitan areas, you can find a reliable transporter able to carry your motorbike freight. Sport Motorcycles: Lightweight and powerful, sport bikes are a popular choice as the daily ride. There comes a time, however, when you can’t ride the sports motorbike on the roads yourself and you’ll have to find an experienced carrier to provide you with transport costs to move the sports bike for you. Cruisers/Choppers: Planning an interstate trip for a long ride across a beautiful stretch of highway and need to find a way to get the chopper or the cruiser down there to meet you? There are transporters who take cruiser motorbikes in multiple numbers on specialised car carriers or secured on tracks in an enclosed truck or trailer to protect them from the elements. 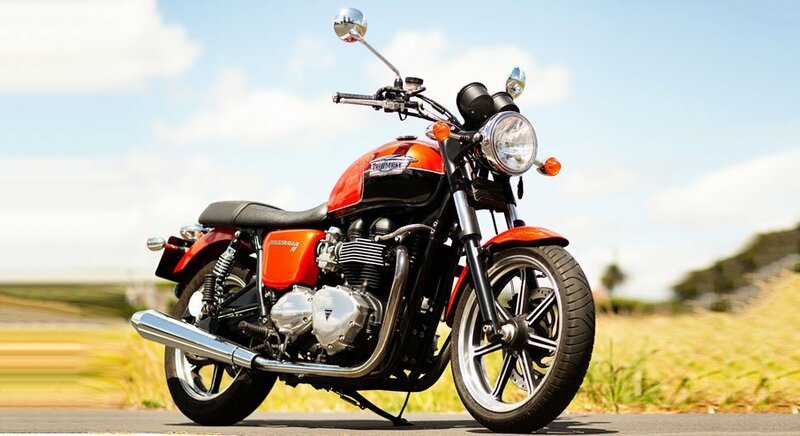 Sport Touring Bike: If you need to move your sport touring bike because you are moving interstate or just across the state, then you’ll need to find a transporter who will handle your bike with the same care that you would. Need multiple bikes moved for a fly ride? You can find motorbike transport companies with trailers that fit several bikes that are either open car carriers or enclosed trailers. Vintage Motorbike: Made a purchase of a classic or vintage motorcycle and need the bike transported so you can start restoring it for your latest project? Maybe you need to have it relocated to a classic car show or motorcycle club meet. If so, you can find an ABN verified motorbike transport company to relocate the vintage motorcycle for you. Postie Bike: A single postie bike can be relocated by a vehicle with a motorbike trailer or even secured on the back of a Ute. You can find motorcycle carriers with the correct vehicle or trailer to provide transport quotes and costs for moving your postie bike. Scooter: Need a scooter relocated anywhere across Australia? Whether it’s within metropolitan areas in Melbourne and Sydney, or interstate due to a recent new or used purchase between SA and Victoria or QLD and NSW, you can find an experienced and reliable transporter to move the scooter for you. Need to move your prized Harley or Chopper interstate? Maybe you just need a motorbike transport company to get your dirt bikes to your latest trek through the bush? You can get transport quotes with FreightQuotes by submitting a free motorbike freight quote request through our online Get Quotes form. Whether it’s interstate, regionally or through metropolitan areas, we connect you with motorbike carriers operating throughout Australia. Your online freight quote request is then sent to all the transport companies that are registered with the FreightQuotes website. Up to three of these ABN verified transport companies will then contact you directly with a transport quote for your motorbike or motorbikes and you choose which motorcycle transport company best suits your individual requirements. Simple, easy and convenient. Motorbike transport is available Australia wide. This includes interstate, regional and metropolitan motorbike freight covering all states and capital cities including Adelaide, Brisbane, Perth, Darwin, Melbourne, Canberra, Hobart and Sydney. You can also find transportation for cars, boats and caravans.